I was relaxing too much these past few weeks so forgive me for posting this review late. It was drafted since few weeks ago and I feel so bad about it. 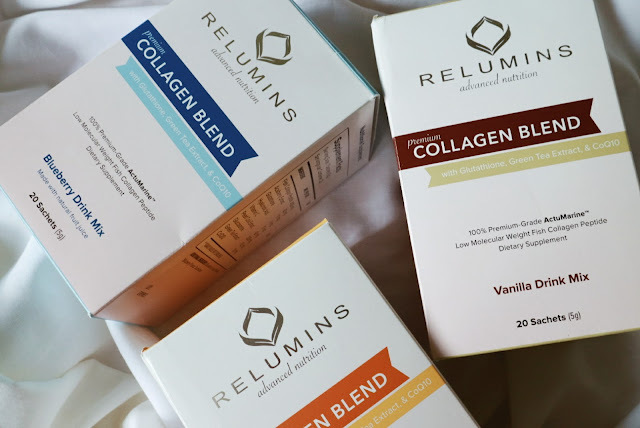 Anyway, here's a full review of the Relumins Premium Collagen Blend. I promised to share you my experience about it so here it is! The first thing that I like about this product is the packaging. It has a box filled with sachets or sticks of collagen blend which is perfect if you want to put it in your bag or pocket. Yes, it is so handy and cutie. If you like fruit juices and some other flavored drinks, this will be your new favorite. 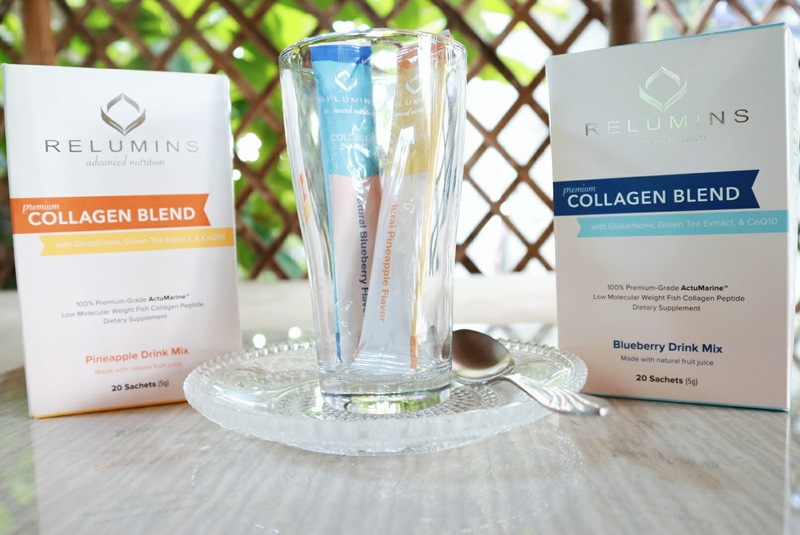 The Relumins Premium Collagen Blend comes with three delicious flavors: Pineapple, Blueberry and Vanilla. My personal favorite is the Vanilla flavor because it compliments well when I mix it in my hot or cold chocolate drink. I have to say that the Blueberry is my least favorite because it taste very candy-ish which I am not a fan hehe. 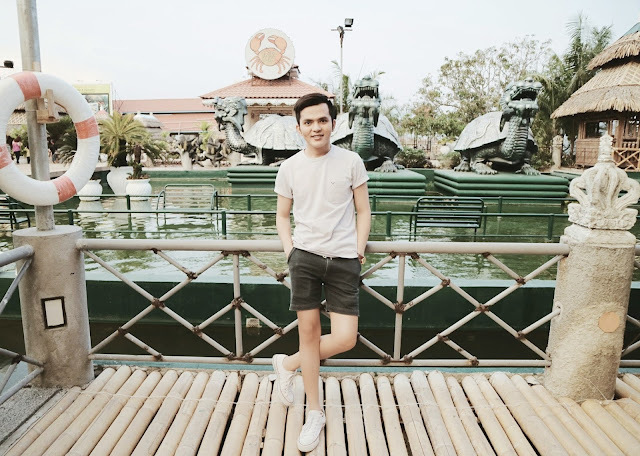 I took Relumins Premium Collagen Blend two times a day. I would normally mix it with my favorite drink or even just in a plain water. Though it's made of marine collagen, it doesn't smell fishy at all so that's a plus for me. 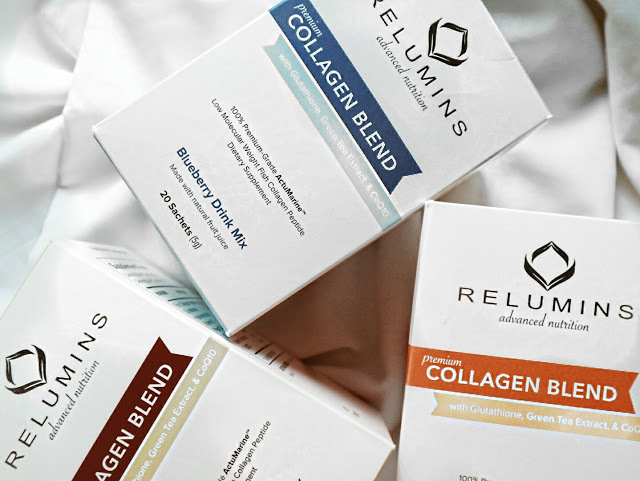 What I don't like about the Relumins Premium Collagen Blend is it's a little pricey, I computed it and it costs P97 per sachet. 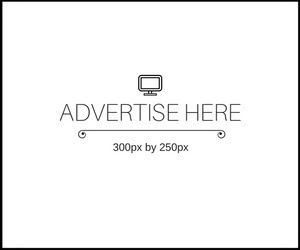 If you are out of budget, the price might hinder you from buying the product. 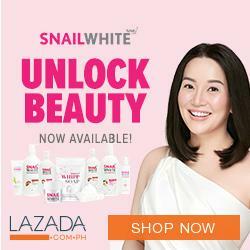 If you have enough budget or if you can make ipon for this product, it is worth your money. 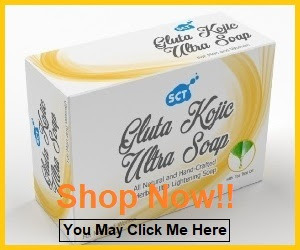 The product really works and it gives us not only smoother skin, stronger nails and hair, it also helps in detoxifying our body. All in all, I highly recommend this Relumins Premium Collagen Blend specially if budget doesn't matter for you. This product is effective and true to its promises. Hey! 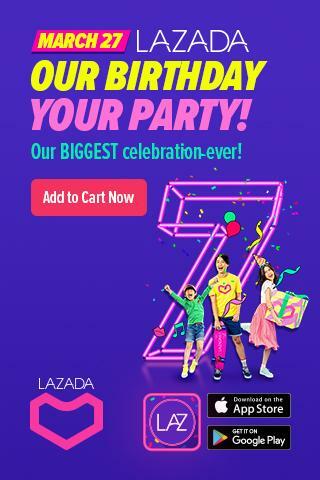 It's a product of Relumins and I trust this brand so much. The Off Price Show Giveaway!